Can you really blame homeowners and commercial building owners for not putting up more solar panels? They’re big, heavy, and a pretty major expense to install. Not to mention really, really ugly. If we could turn regular transparent windows into energy-generating powerhouses, though, perhaps every home and business would start utilizing solar power. 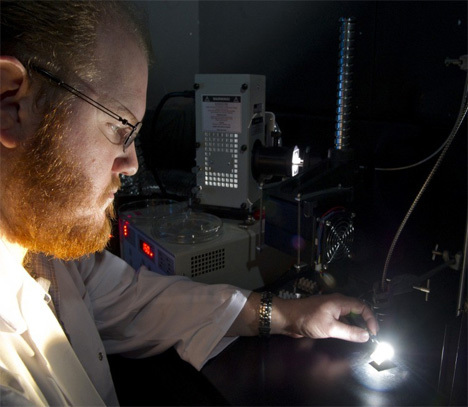 That is the goal of Dr. Mark Bissett‘s ongoing research at Flinders University School of Chemical and Physical Sciences; he has developed a proof of concept solar cell that will produce electricity along with letting some outside light shine in. It’s like functional window tinting. There is a trade-off, though: the more transparent the tinting, the less efficient the solar power collection. 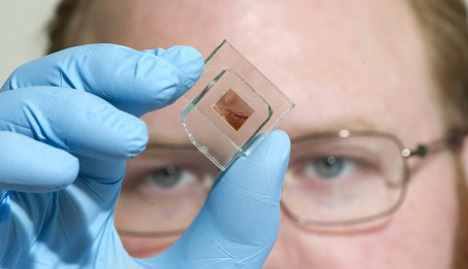 The cells work by sandwiching a single layer of carbon nanotubes between two sheets of electrically conductive glass. Another version of the concept involves spraying the nanotubes onto glass panels, which may mean that existing windows could be utilized as solar collectors after being sprayed. The technology, at the moment, only boasts about 1% efficiency – in order to be competitive it would need to get closer to 20%. Still, the cells are in the development stage and will continue to be tweaked and improved upon. Dr. Bissett thinks that they could be on the market in as little as ten years.